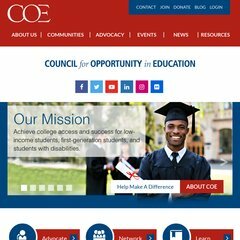 coenet.us CERTIFICATION OF MCNAIR PROGRAM PARTICIPATION AND REQUEST FOR ..
coenet.us Council For Opportunity In Education | Global Leaders? Semester .. The site has about 40 users daily, viewing on average 1.60 pages each. It is written for ASP.NET language. It has 2 DNS records, ns70.worldnic.com, and ns69.worldnic.com. It is hosted by Cavalier Telephone (Virginia, Richmond,) using Microsoft-IIS/7 web server.